Tony Petrocelli – an Italian-American defense lawyer from the Harvard -was born and brought up in South Boston. He left and abandoned the Boston city’s hustle and bustle metropolitan life to live a sluggish life in the Southwest called San Remo. Tony and his wife Maggie sustained their life in a trailer until their new home was complotted. The couple used old pickup truck as the mode of travel. Tony employed Pete Ritter as the investigator for the cases. Ritter was a local cowboy of the town in San Remo. As a defense lawyer, Tony had tough time in all the episodes. His clients were supposedly convicted of murder, burglary, etc. and he used to plead not guilty for them before the jury by presenting evidences, which came to him as the course of the case developed further. It seemed a strange and funny act that the accused against whom Petrocelli filed the evidences, was never tried in the court, but those evidences and doubts definitely helped the client to relieve against the accusations leveled. The character of Petrocelli is remarkable, and it was created by Newman in a movie released in the year 1970, and which was based on Sam Sheppard murder case. Petrocelli was undoubtedly a popular American legal drama that dominated the world of Television for almost two seasons on NBC, starting from September 11, 1974 to March 31, 1976. There were many themed movies which were created and hovered around the character of Petrocelli. 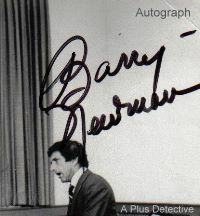 In all of the TV series, Barry Newman played the role of a protagonist. The prominent TV series include, “Death Ride” in the year 1976 TV episode; “Jubilee Jones” in the year 1976 TV episode; “Shadow of a Doubt” in the year 1976 TV episode; “Deadly Journey” in the year 1976 TV episode; “Night Games” in the year 1974 TV episode; and “The Lawyer” in the year 1970 TV episode respectively. Barry Newman created an amazing fictional character, and very soon Newman became synonymous with Tony Petrocelli. The art of presenting cases before the jury, and counseling them with astute professionalism made a remarkable impact on the American audience. Further, Ton’s acolyte, Pete Ritter found the evidences to its core and passed on those evidences to Petrocelli, which ultimately helped Petrocelli to secure the release of his client from the crime which he had had not committed. Once can see the esteemed professionalism of Petrocelli in many of the cases in TV episodes. It is this very professionalism of Petrocelli that eventually leads him to success and makes him the best defense lawyer in the entire town. One can also find in the TV episodes that Petrocelli is also a good person in general life, and such a demeanor is least expected otherwise from the people of such profession. Petrocelli does justice to his professional as well as personal life. He takes care of his clients and his wife with complete seriousness. You don’t see him messing around or doing things which he shouldn’t be actually doing.